The biggest yacht hall exhibition will take place 19-27th of January 2019 – make sure to save the date! Galeon is nominated for the IBI Boat Builders Award for the On Board Design of the Galeon 640 FLY – more info soon! Make sure to visit us 9-12th of August at the Wind and Water Fair in Gdynia! Visit us 15-19 Feb to see a fleet of 9 models including the 640 FLY! Make sure to visit us at the upcoming Boot Dusseldorf show 20-28 of January 2018 to see three new and exciting Galeon models! 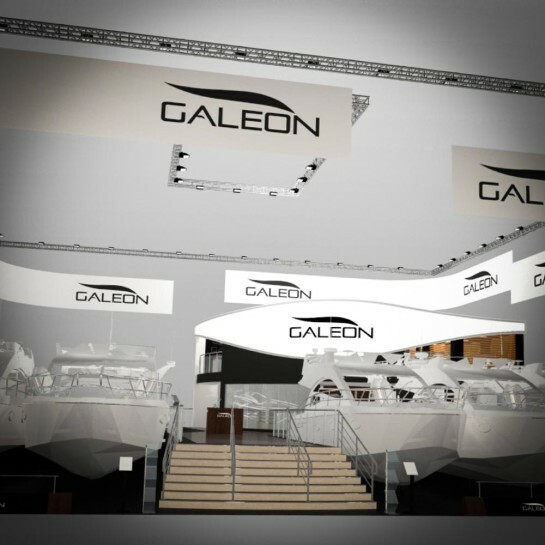 Make sure to visit the incredible Galeon and MarineMax stand at the show, 1-5th November! 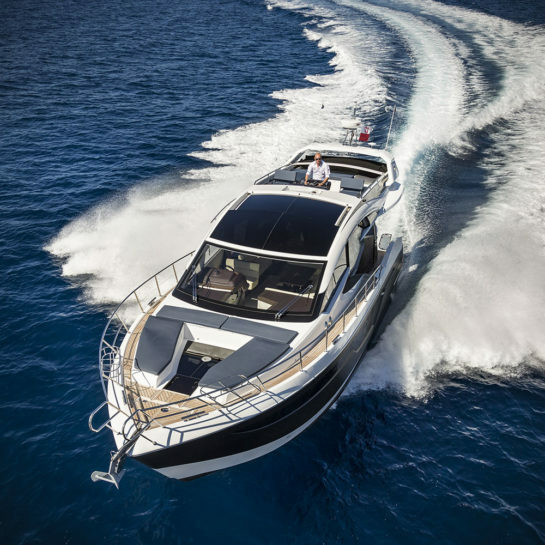 Visit us at the Southampton Boat Show, 15-24 Sept. to see the Galeon 305 HTS and 380 FLY! 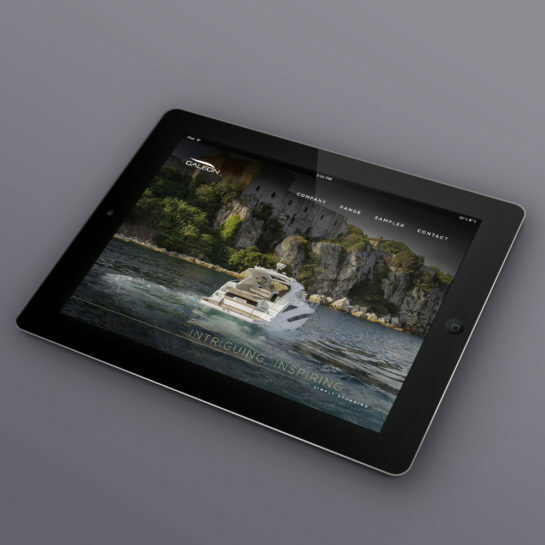 Download the latest version of the Galeon Yachts iPad App on the Apple App Store today! Visit us at the Vene 2017 Båt show in Helsinki to see the new Galeon 360 FLY! The show will take place 4th-6th November 2016, visit us to see the spectacular 360 FLY and 445 HTS, more info coming soon! 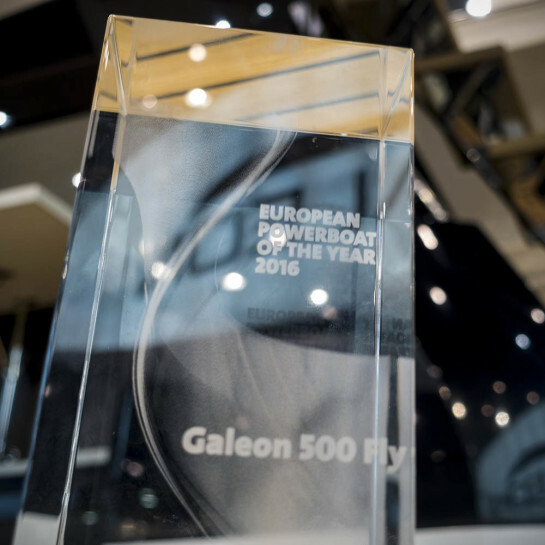 Galeon 500 FLY has been named the Polish Boat of The Year 2016! The updated version of the official Galeon App is available for download for Apple iPad devices. 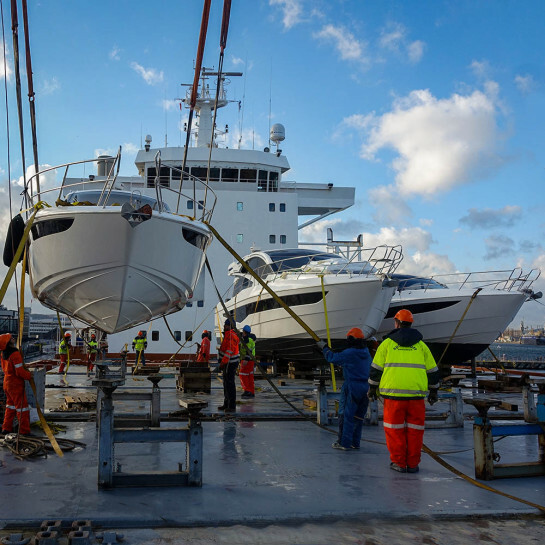 The biggest yacht hall exhibition will take place 19-27th of January 2019 - make sure to save the date! Galeon is nominated for the IBI Boat Builders Award for the On Board Design of the Galeon 640 FLY - more info soon! 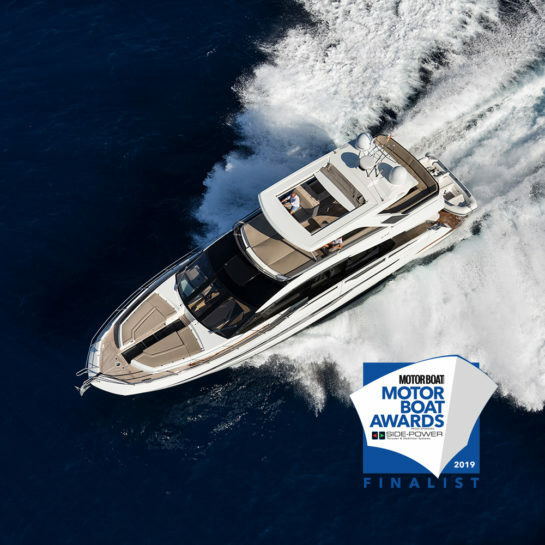 Our three flybridge models are nominated for Motor Boat of the Year 2019 - Galeon 360 FLY, Galeon 460 FLY and flagship Galeon 640 Fly. Nomination by British Motorboat & Yachting Magazine. We wish to thank all the visitors and hope you enjoyed the show! We are proud to announce that Galeon 335 HTS was awarded at the Wind and Water Boat Show 2019 in the motor boat category. At the fair in Warsaw we showcase two Galeon models 335 HTS and 360 FLY. 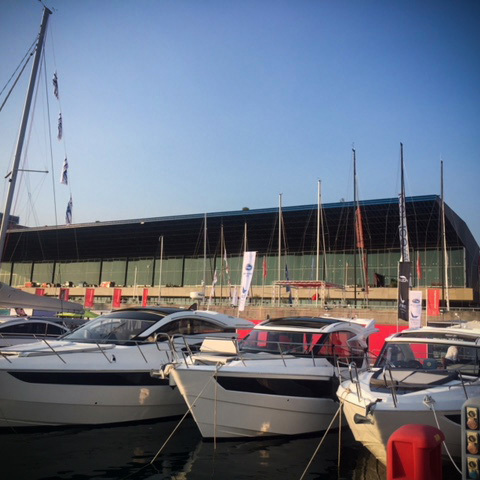 Check out the GALEON oraz DENIZ YATÇILIK stand at the Istanbul Tuzla Boat Show 2019 where we showcased three Galeon models: 360 Fly, 500 Fly oraz 640 Fly. Galeon 640 Fly was awarded the prestigious World Yacht Trophy in the 60-80 feet category at the recent 2018 Cannes Yachting Festival. Thanks to all the visitors and see you at the next one! 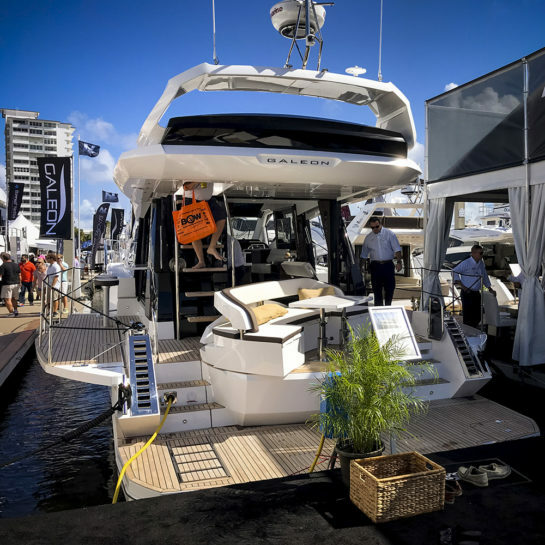 Check out the incredible Galeon and MarineMax stand at the 2019 Miami Boat show where we showcased ten Galeon models including the US premiere of the 425 HTS! 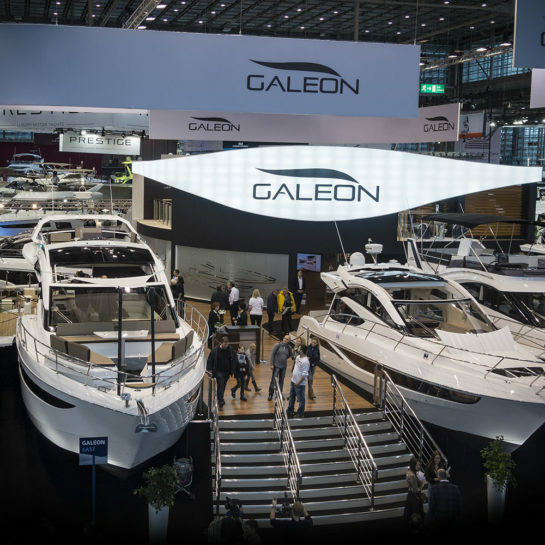 The latest, 50th edition of the Boot Dusseldorf show proved to be a huge success for both the organizers and Galeon alike. Massive numbers of visitors, numerous contracts signed and a wide variety of exhibited models left no one wanting. Galeon displayed six models: 335 HTS, 420 FLY, 425 HTS ( World Premiere! ), 470 SKYDECK, 485 HTS and the award winning 640 FLY on a large, two-part stand in the prestigious hall 6. We wish to thanks all the visitors, clients, Dealers and partners and see you at the next event! 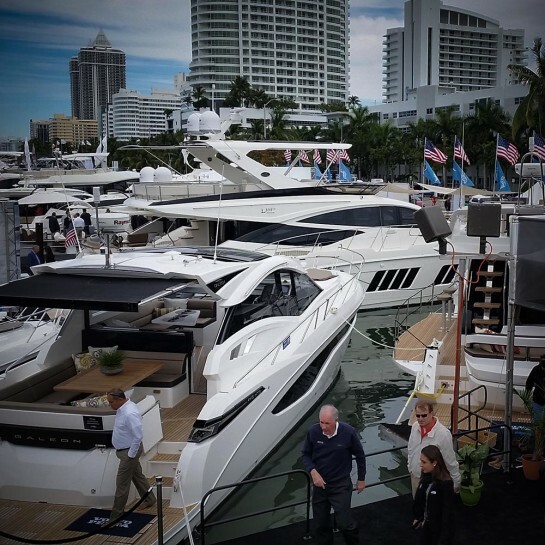 The Fort Lauderdale show is truly one of the most important events on any boat enthusiasts calendar. With a variety of yachts displayed and their sheer number it’s no wonder visitors from around the globe decide to make the trip to Florida to be a part of this exiting exhibition. Thanks to our partners for the US market we have displayed an impressive lineup of yachts including the brand new Galeon 650 SKYDECK, which is quickly becoming THE innovation leader in the segment. To all our visitors and fans – thanks for coming and see you at the next one! 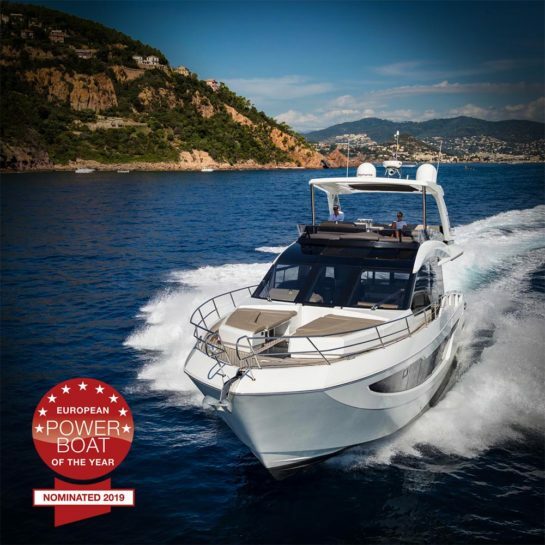 Galeon 640 FLY was nominated for the European Powerboat of the Year 2019, learn more about this award here! Galeon 640 FLY was nominated for the prestigious European Powerboat of the Year award by the famous BOOTE Magazin! It is an incredible honor to be recognized as one of the leading yacht manufacturers in Europe by industries top specialists. Galeon is on the forefront of innovation in yacht design and on board solutions and we are proud to receive this mention. The winner will be announced at the 2019 Boot Dusseldorf show – keep your fingers crossed! 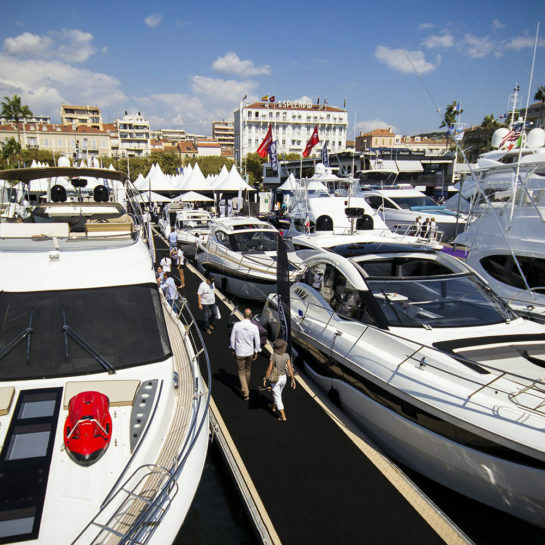 The Cannes boat show has become the most important event for boating enthusiasts in Europe. With hundreds of exciting new models around every corner it is definitely the place to visit while searching for your new, dream yacht. 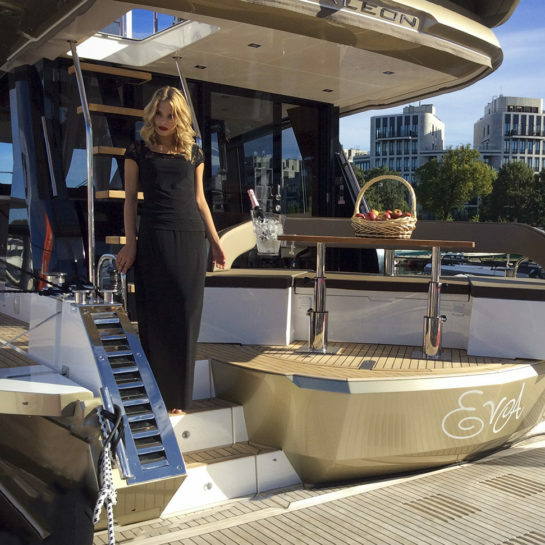 Galeon has exhibited an amazing lineup of 9 models including the World Premiere of the 650 SKYDECK. We are proud to say our yachts have been recognized by the visitors and professionals alike with the Galeon 640 FLY being awarded the World Yacht Trophy for the ” Most Innovative” models in its segment! Check out the amazing gallery and see you at the next show! 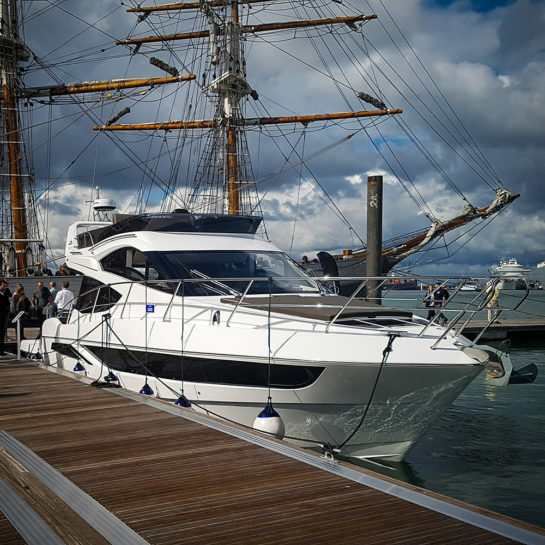 Galeon UK showcased three Galeon models at the famous Southampton Boat Show and made its presence known around the well established brands on this market. The Galeon 460 FLY with its innovative Beach Mode option gathered most of the attention but buyers were also interested in the compact 360 FLY and the small yet sporty 305 HTS. Enjoy the gallery and see you at the next one! 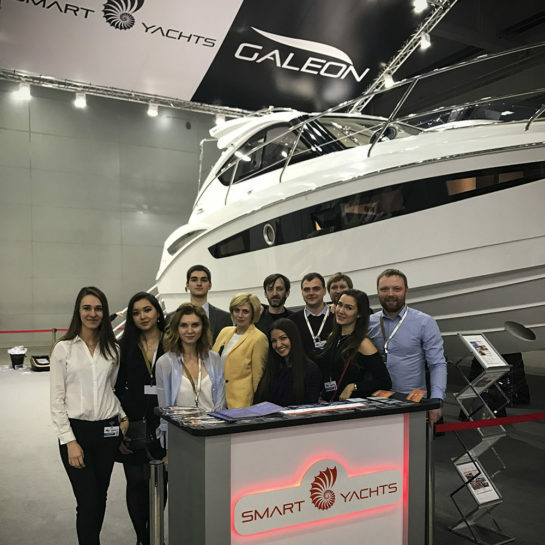 Check out the Galeon stand at the 2018 St. Petersburg boat show in Russia where Smartyachts and Galeon showcased a variety of yachts. 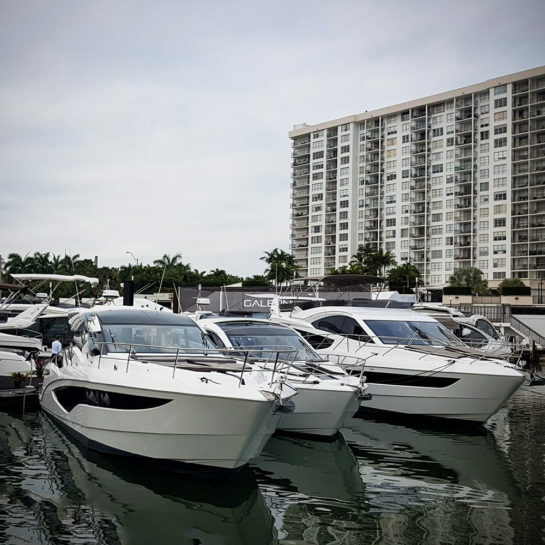 At the 2018 Genua Boat Show we showcased thee models: Galeon 335 HTS, Galeon 370 HTC and Galeon 430 HTC. 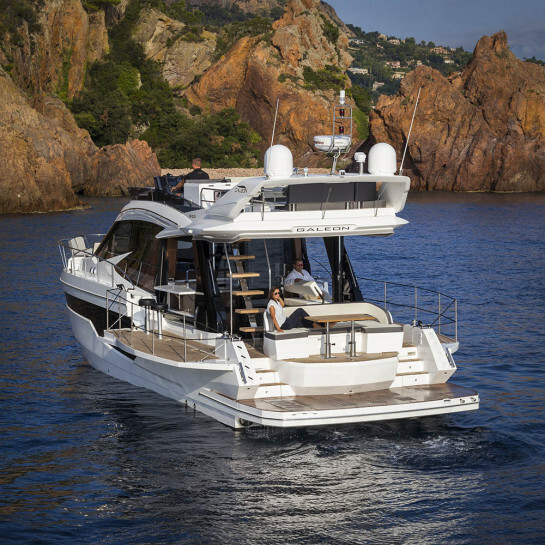 Make sure to visit our official Dealer Fortune Lavagna to learn more about Galeon models in Italy! 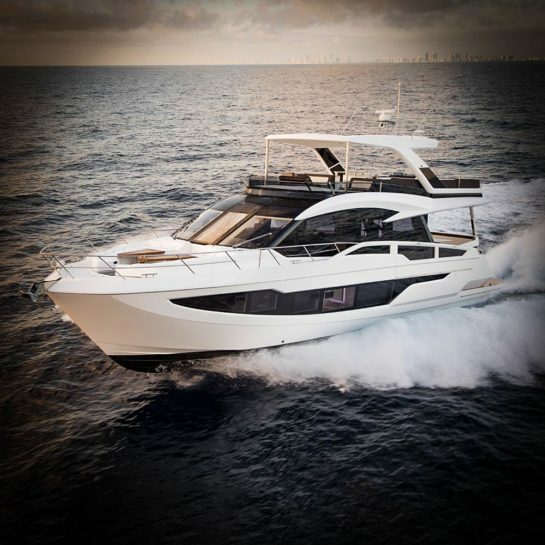 The Galeon 640 FLY is considered a game changer for a good reason. Striking design, never before seen features and ultimate luxury on all deck – this yacht is a winner. Check out the photos from the Miami photo shoot, enjoy! The amazing 470 SKYDECK in Turku, famous for its thousands of islands! 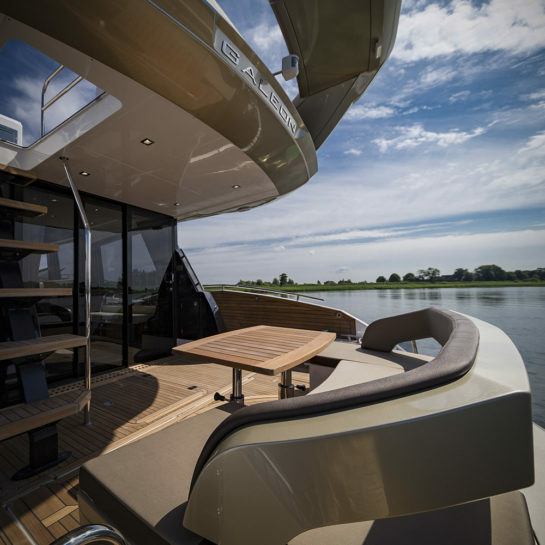 Galeon 470 SKYDECK debuted at the 2018 Boot Dusseldorf Boat Show where it stole the hearts of Galeon fans with its unique features and distinct styling. With a variety of interior designs and options to choose from, one can easily create its dream yacht! Here shown in the picturesque region of Finland – Turku, enjoy the gallery! See how well the popular 460 FLY fared in a photo shoot in the famous city of London! Galeon 460 FLY is one of our best selling models and it easy to see why! Customizable interior with bespoke materials, powerful Volvo Penta engines and a variety of clever features make this model a winner. 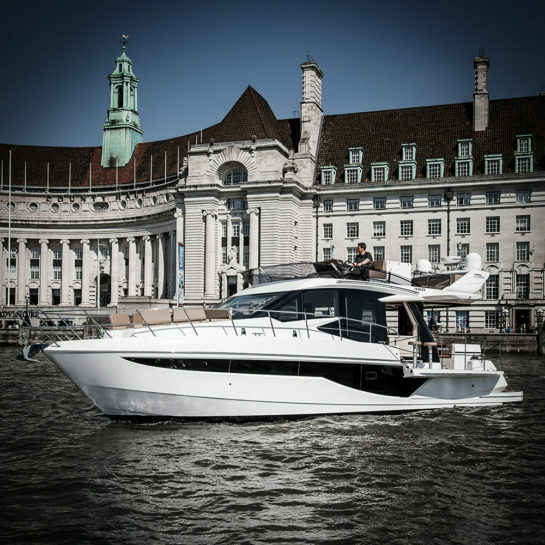 Equipped with the fan favourite Beach Mode option the 460 FLY is sure to impress even in London, enjoy the gallery! 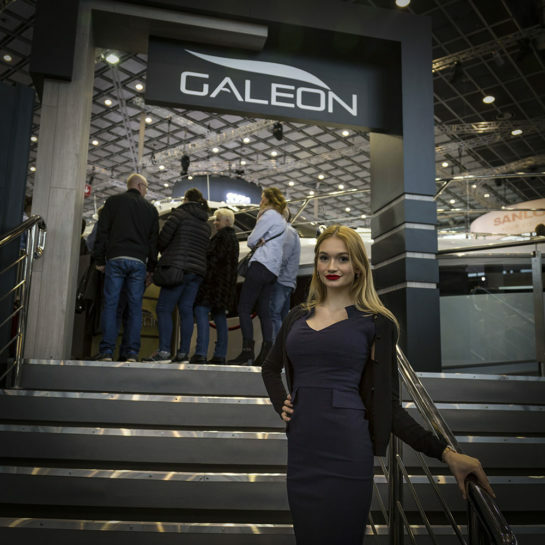 The Wind and Water fair is the biggest indoor yachting exhibition in Poland and Galeon was in the center of attention with two largest models showcased. Our visitors got a chance to see first hand the recent premieres 335 HTS and 370 HTC as well as a Galia motorboat. We wish to thank all who took their time to see us and enjoy the gallery! 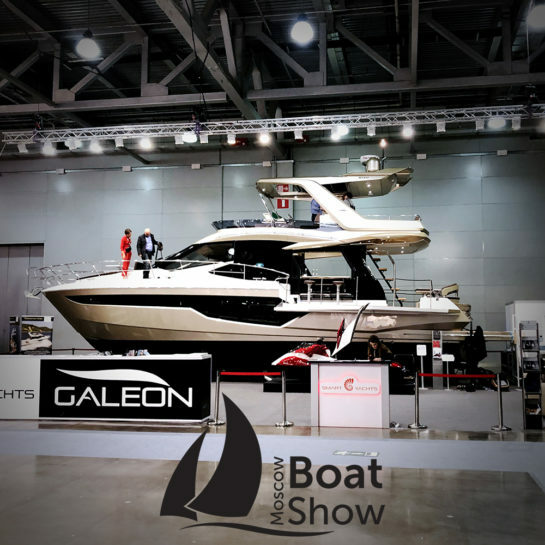 Galeon and our official Dealer for Japan, Slow Boats, had the pleasure of showcasing two flybridge models at the Yokohama Boat Show. Both compact models, the 300 FLY and 360 FLY proved to be a huge success among the visitors. Make sure to check out the photo gallery! 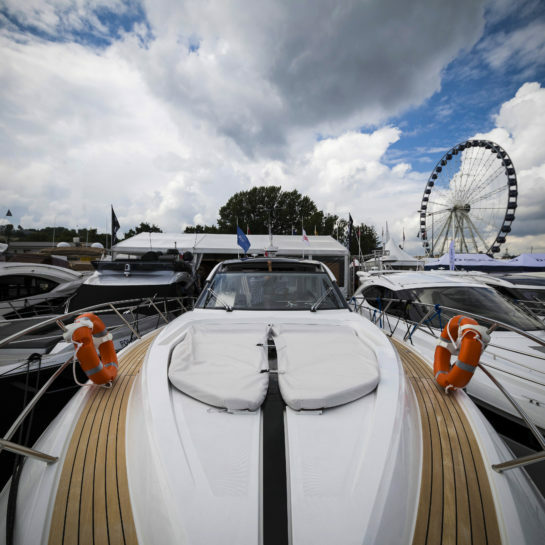 Once again Galeon proved to be the center of attention showcasing the amazing Galeon 460 FLY during the Moscow Boat Show. We wish to thank Smart Yachts and all the visitors for supporting us – see you at the next show. 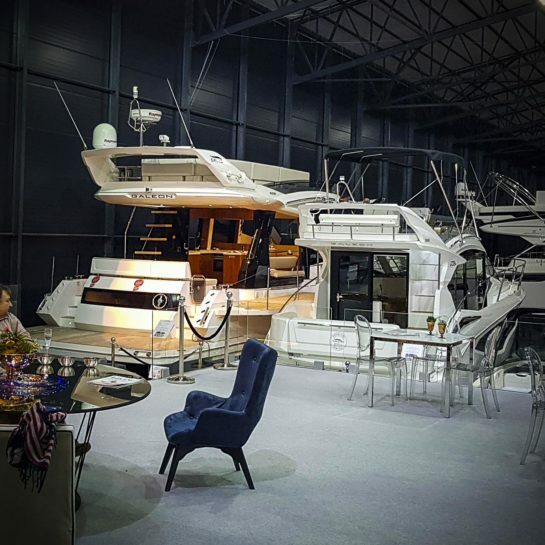 A quick look at the 2018 Eurasia Boat show in Tuzla near Istambul - check out the gallery! Galeon and Deniz Yachting are showcasing two Galeon models at the 2018 Eurasia Boat show in Tuzla near Istambul. Visitors are able to check out the recent premiere 360 FLY as well as the award winning 500 FLY with Beach Mode option. Make sure to visit our gallery from the show! 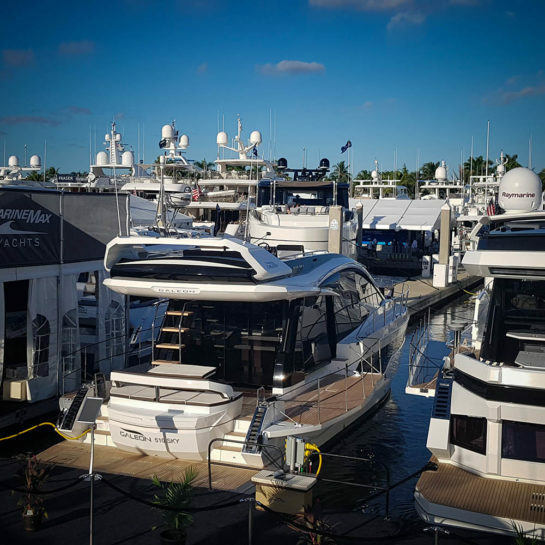 A quick recap of the 2018 Miami Boat Show - check out the gallery! 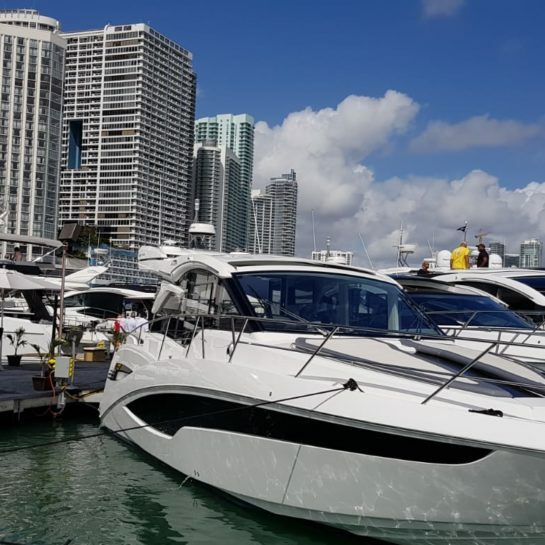 Take a look at the spectacular Galeon and MarineMax Yachts stand at the 2018 Miami International Boat Show showcasing no less then 9 Galeon models including the brand new, amazing 640 FLY! The incredible lineup of 405 HTS, 430 HTC, 460 FLY, 485 HTS, 500 FLY, 550 FLY, 560 SKY, 640 FLY and 660 FLY has gathered attention of the visitors all throughout the show – we hope you enjoyed your visit! Once again thanks to the friendly MarineMax staff and all the organizers – see you next year! Galeon 470 SKYDECK a proud winner of the Motorboat of the Show award in Helsinki for the fourth year running! We are proud to announce that Galeon 470 SKYDECK has been named Motorboat of the Show in the Cabin Cruiser category at the 2018 Helsinki Boat show! This marks the FOURTH time in a row that Galeon and Nordec Nautic have been honored – incredible! You can can see the model HERE, enjoy the gallery! A look back at the biggest indoor yachting show in the World- Boot Dusseldorf 2018! The 2018 Boot Dusseldorf was truly special and quite possibly the best show in years. With the whole industry looking into the future with optimism, a record number of boats, exhibitors and visitors and a spectacular Galeon stand – it was an incredible experience. We showcased six yachts including the recently premiered 335 HTS and World debuts of the 470 SKYDECK and 640 FLY. We wish to thank our partners, visitors, organizers and fans – it would not have been possible without you! Enjoy the gallery. 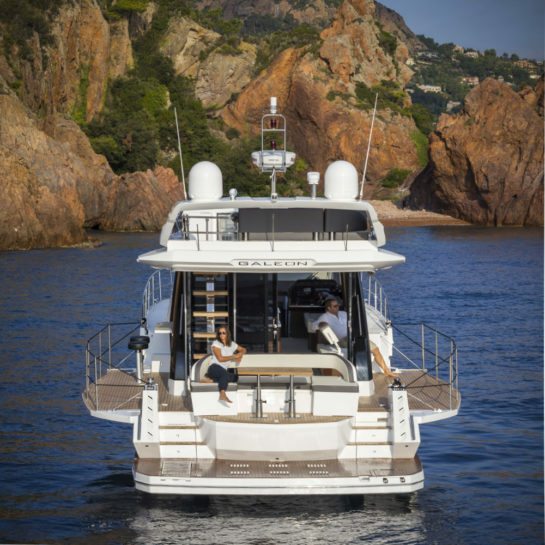 Galeon has the pleasure of exhibiting the classic 380 FLY during the 2018 London Boat Show. 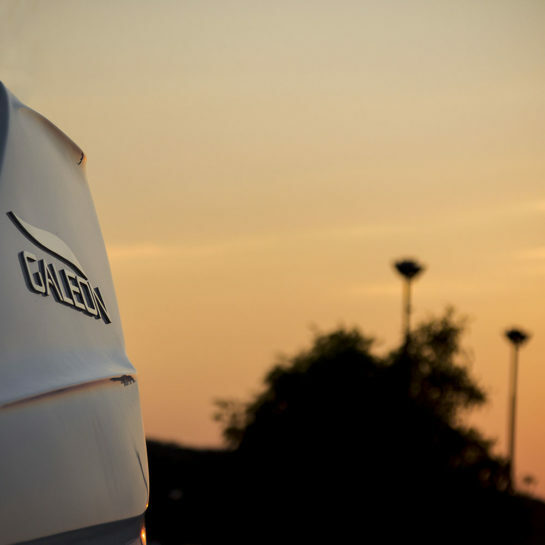 Make sure to visit us to learn more about the current and upcoming Galeon models. Check out this incredible video of the award-winning Galeon 510 SKYDECK! The SKYDECK model is a natural evolution of the award-winning 500 FLY. Sharing the hull design and all the great features that made the 500 so popular, it manages to improve upon it with its innovative top deck features. Combining the advantages of the classic flybridge and the distinct, sporty look of the hardtop are unique to the Galeon SKYDECK line, and earned this model a 2016 World Yacht Trophy award for Innovative design at the Cannes Yachting Festival. Galeon and MarineMax had the pleasure of exhibiting an incredible nine Galeon models at the 2017 Fort Lauderdale International boat show. We wish to thank all the visitors, our partners at Marinemax and boat show organizers for this special event! See you at the next one and enjoy the gallery. A look back at the 40th anniversary of the Cannes Boat show! The 2017 edition of the Cannes Yachting Festival marked the show’s 40th anniversary and did not disappoint! Every exhibitor brought a wide variety of spectacular models, presented at luxurious stands with glamorous atmosphere. Galeon Yachts showed up with no less than 8 models and gathered a lot of attention from both visitors and the competition. We wish to thank all our Dealers for their support and all visitors for their words of encouragement – see you next year! 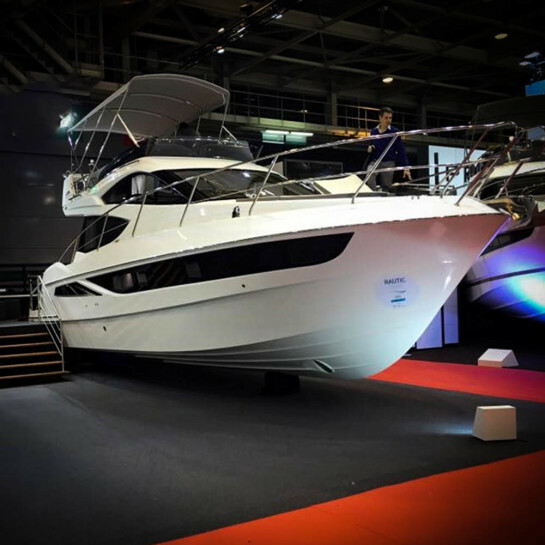 After a few years of absence Galeon Yachts is finally back at Italy’s premiere boating exhibition with two models: Galeon 510 SKYDECK and the new 370 HTC. See you at the next exhibition and enjoy the gallery! 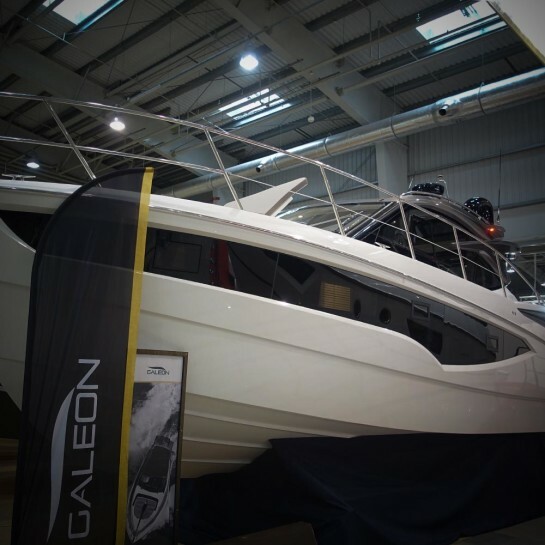 Galeon Yachts is back in the UK! 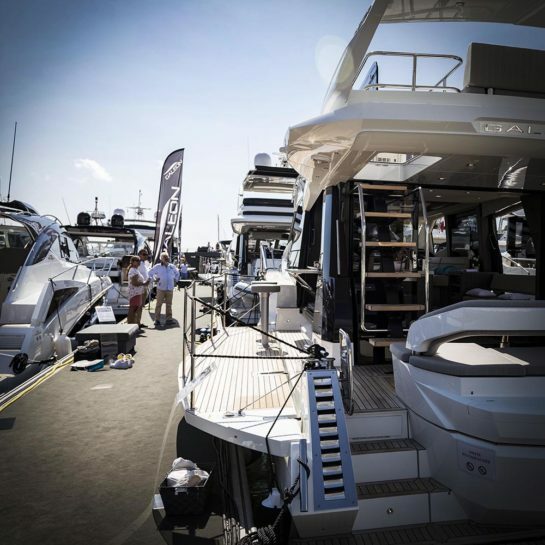 Galeon Yachts is finally back in the UK market with two models on display during the classic Southampton boat show. We wish to thank all the visitors for the warm welcome and words of encouragement – it is good to be back! Make sure to visit galeonyachts.co.uk for more info and upcoming events. Visit us at the 2017 Cannes Yachting Festival! 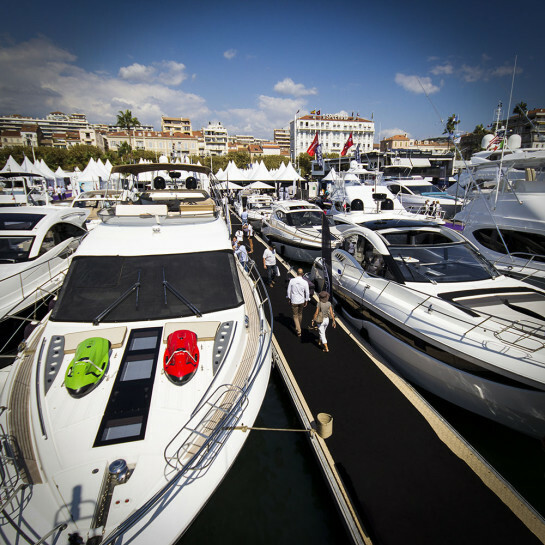 The Cannes Boat Show is the biggest on-water boating exhibition in Europe and one of the premiere events of the year. This edition will mark the 40th anniversary of the show and you can be sure we prepared something special! 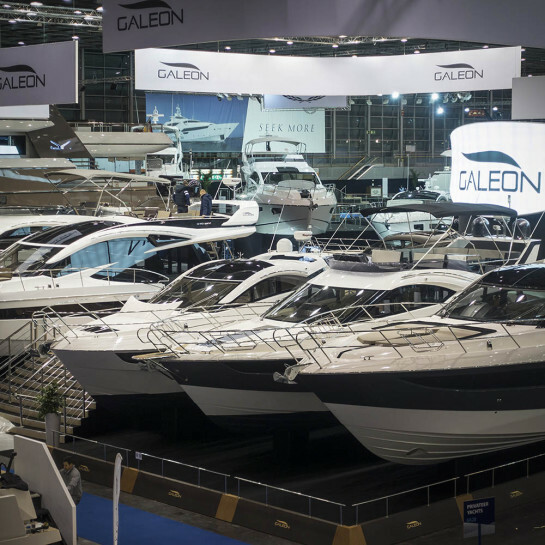 Visit us at the Pantiero section stand 107 to see a Galeon lineup of: 360 FLY, 370 HTC (World Premiere! ), 405 HTL, 420 FLY, 460 FLY, 485 HTS, 510 SKYDECK and 560 SKYDECK – you can’t miss it! See you there. The Wind and Water fair in Gdynia is the biggest on water boat show in Poland. 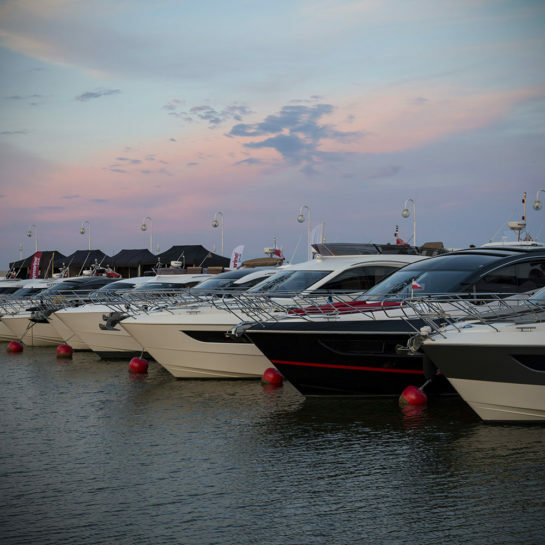 Being a local one for Galeon, we managed to present an incredible lineup of models including a World premiere of the 370 HTC, a sporty 510 SKYDECK with IPS engines and the flagship – 780 Crystal. We wish to thank all the visitors and our Dealers for showing up – see you next year! 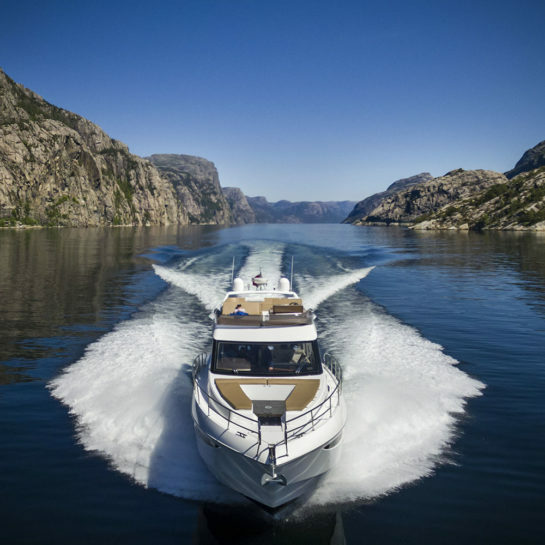 Galeon and our Dealer from Norway – Stavanger Marinesenter AS took the Galeon 460 FLY for a cruise in the spectacular Fjords of Norway. The yacht was equipped with the innovative Beach Mode, which made it perfect for enjoying the incredible scenery of the Lysefjord. 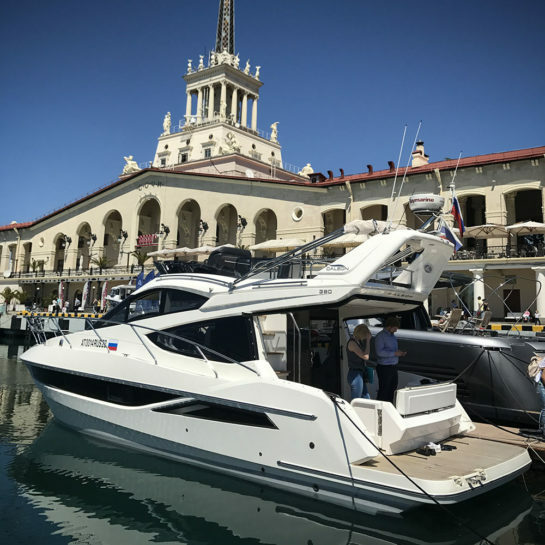 Galeon and Smartyachts had the pleasure of exhibiting the classic Galeon 380 FLY at the Sochi Boat Show, right next to the Black Sea. The show took place during a Formula 1 race, raising its profile and attracting a variety of international attention. 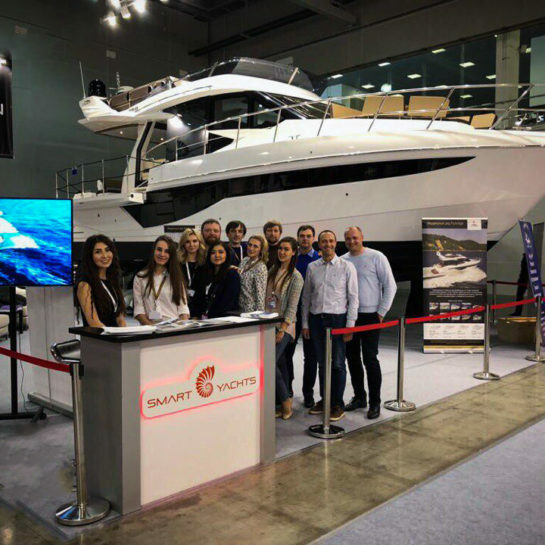 We wish to thank all the visitors and our Dealer – Smartyachts for organizing this incredible event! 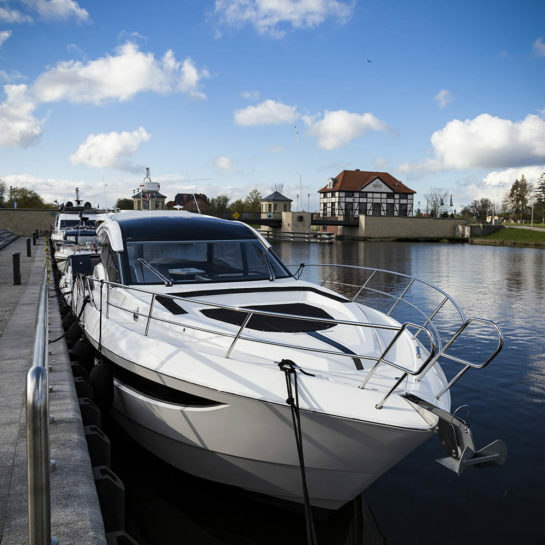 The 2017 edition of Galeon Owners Club took us on a journey through rivers, canals and bridges to finally end up in the historic city of Elblag. A fleet of Galeon yachts traveled together forming a formidable lineup, rarely seen in those parts. The scenic background is largely unoccupied and in part a breeding ground for various types of birds. At our destination an evening of festivities was planned, where stories of the made journey were shared. Day two brought upon much kinder weather and allowed to fully enjoy a tasty barbecue on the hotel terrace. We hope you had a great time and see you at the next GOC! 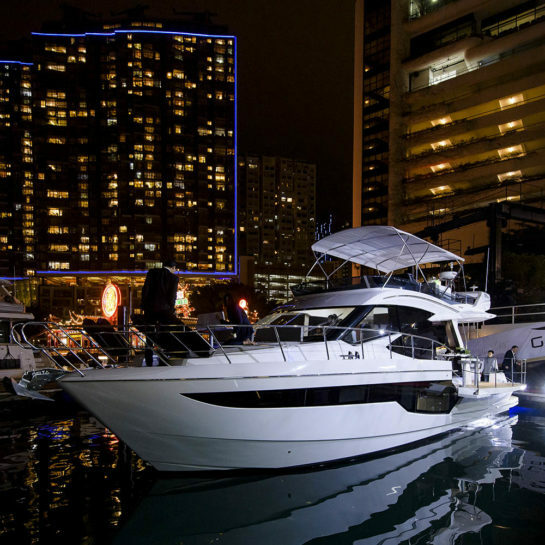 Galeon Yachts and Asiamarine unveiled the award-winning 500 FLY at the Aberdeen Marine Club in HK. This special evening, organized by Asiamarine started with a cocktail reception and a jazz concert. 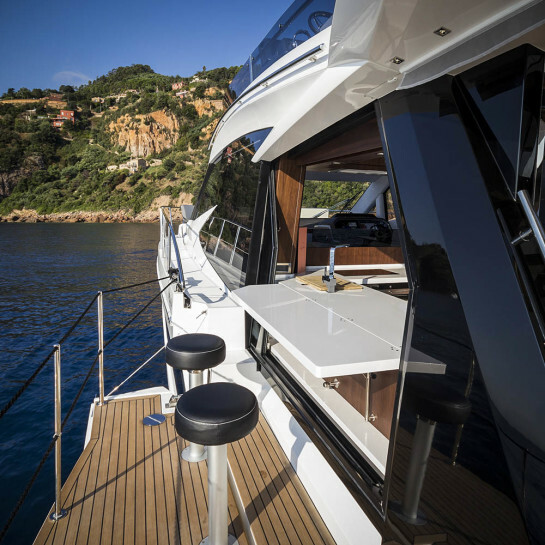 Later all guests were able to take private tours of the spectacular Galeon 500 FLY finished in high gloss Walnut. We wish to thank all the guests for attendance and see you at the next event! Check out the great photos from Galeon 365 HTS debut in Yokohama, Japan! Galeon and Slowboat, had the pleasure of officially introducing our yachts to the clients from Japan during the International Boat show held in Yokohama. From the 2nd to 5th of March 2017, the 365 HTS cruiser was showcased on the floating exhibition gathering a lot of attention from the guests. A look back at the 2017 Moscow Boat Show - enjoy the gallery! 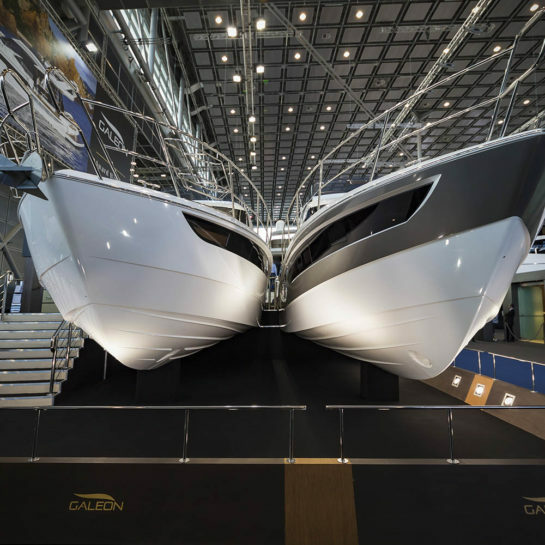 Galeon and Smart Yachts had the pleasure of exhibiting two Galeon models, the 325 HTS and 420 FLY at the 2017 Moscow International Boat show. We wish to thank all the visitors and hope you enjoyed the visit! A scenic photoshoot made in the incredible scenery of one Thailand's most famous nature parks. The 460 FLY is one of the most spectacular yachts in the Galeon Third Generation lineup and it deserves a worthy background. Check out the photos sent over by our friends at AsiaMarine made in the scenic Phang Nga Bay. 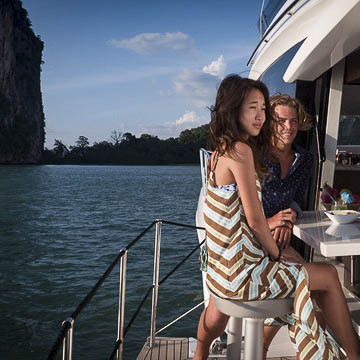 Galeon and the incredible coastline of Thailand seem to be a great fit – enjoy! A first look at the Miami Boat Show 2017, click for more! Galeon and MarineMax are showcasing an incredible seven models at the 2017 Miami Boat Show. Make sure to visit us to see: 445 HTS, 500 FLY, 385 HTS, 420 FLY, 430 SKYDECK, 550 FLY and 560 SKYDECK. See you there and enjoy the gallery! An award for the new Galeon 360 FLY at the 2017 Helsinki boat show! 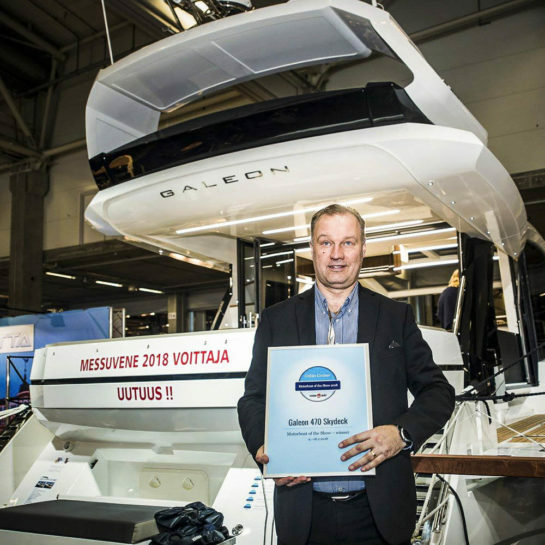 We are proud to announce that Galeon has, for the third year in a row, won the best Cabin Cruiser award at the 2017 Helsinki Boat Show for the Galeon 360 FLY model! We wish to thank the Jury, our Finnish Dealer, Nordec Nautic and yacht designer – Roberto Curto! A look back at this year's incredible Boot Dusseldorf boat show - click here for more! The 2017 Boot Dusseldorf boat show was one of the best editions yet, both for the Galeon brand and the boat industry as a whole. With the prestigious hall 6 full for the first time in years, the show was filled with excellent new models, incredible stands and a variety of boating equipment. 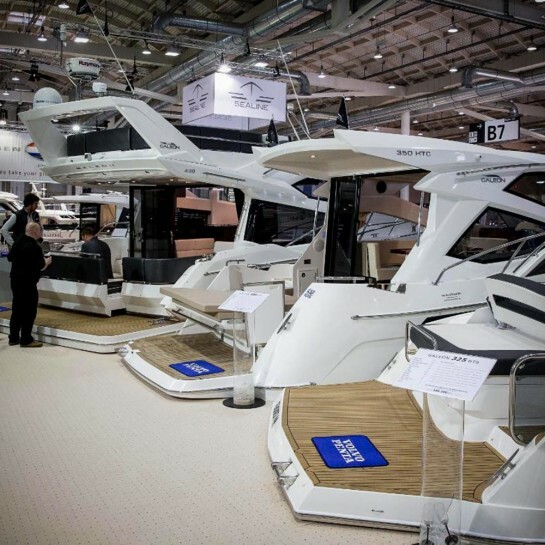 Galeon had the pleasure of exhibiting six models, including the recent premiers – 360 FLY and 460 FLY. We wish to thank all the visitors, our Dealers and Boot organizers for this incredible edition – enjoy the gallery! 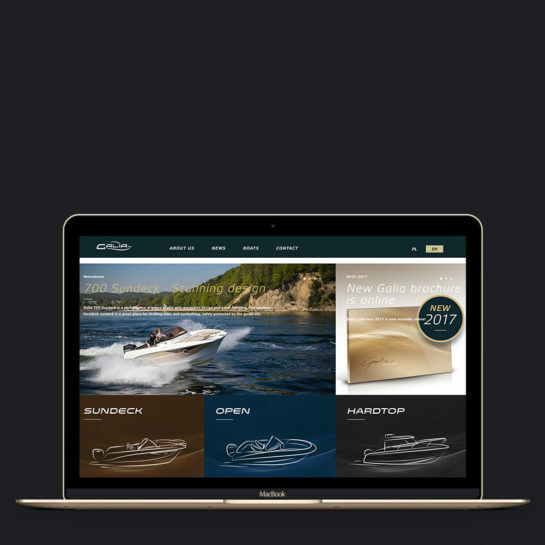 The new Galia motorboats website is now online - visit today! Galeon is a leading manufacturer of luxury yachts as well as a range of smaller motorboats with outboard engines called Galia. With a range of fifteen models including hardtops, sundecks and open variants everyone will find a suitable model. 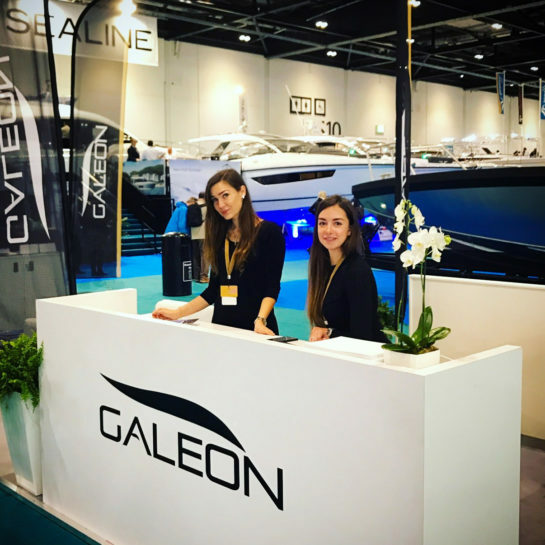 Galeon is ready to make a proper launch on the UK market and the first step is to get trustworthy partners with proper sales and service backgrounds. Our representatives visited the London Boat Show to officially introduce themselves and make the first step towards the future UK dealership. Visit us at the biggest indoor boat exhibition in the World – Boot Dusseldorf. 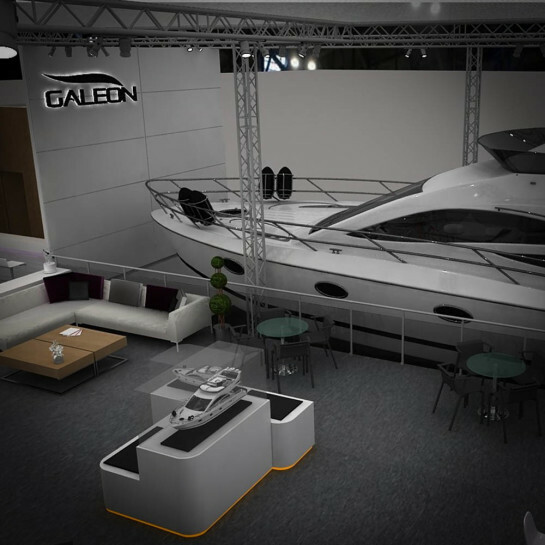 Galeon will showcase six models on two stands of almost 900 square meters – you cannot miss it! You can find us at Hall 6, stand A59 and A60 – See you there! We are proud to announce being named Honourable Mention in the International Distributor/ Dealer Development category at the 2016 IBI Boat Builders Awards! This prestigious distinction capped the incredible 2015/2016 season for Galeon filled with accolades including several Yacht of the Year trophies. Once again we wish to thank all the members of the Jury, our Dealers and customers as well as everyone that has supported us during this time. We promise to keep on innovating and make sure that the 2017 season will bring a few surprises for You to enjoy! Galeon and HW Bootscenter would like to invite everyone to visit us at the Hanseboot International Boat Show in Hamburg that will take place 29/10 until the 6/11/2016. 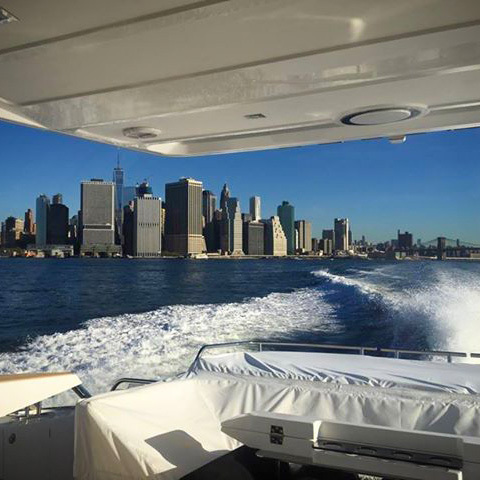 Galeon and MarineMax continue to showcase Galeon yachts along the east coast of the USA. A short recap of both shows available in the gallery – enjoy! 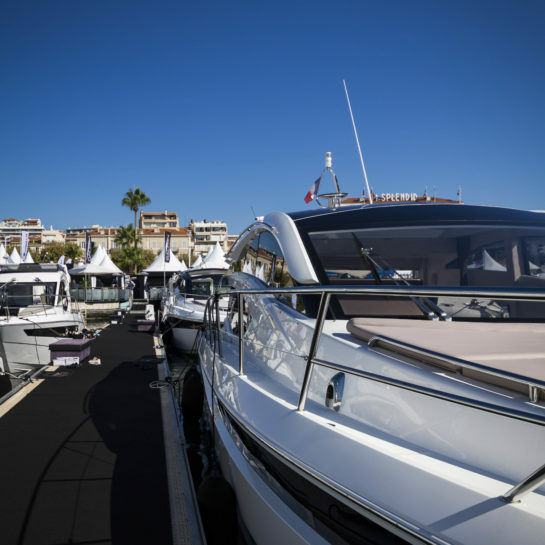 The Cannes boat show is considered the biggest yachting exhibition in Europe and, once again, it lived up to expectations. With exciting yachts from all around the globe, thousands of visitors and a spectacular scenery it proved to be the main event of the season. Galeon has showcased a lineup of boats including: 300 FLY, 325 HTS, 365 HTS, 380 FLY, 405 HTL, 430 HTC, 445 HTS and the brand new 460 FLY. We are proud to announce that Galeon 510 SKYDECK was awarded the World Yacht Trophy for the Most Innovative yacht in the 50-80 feet segment! Thank you for visiting and join us at the next show! 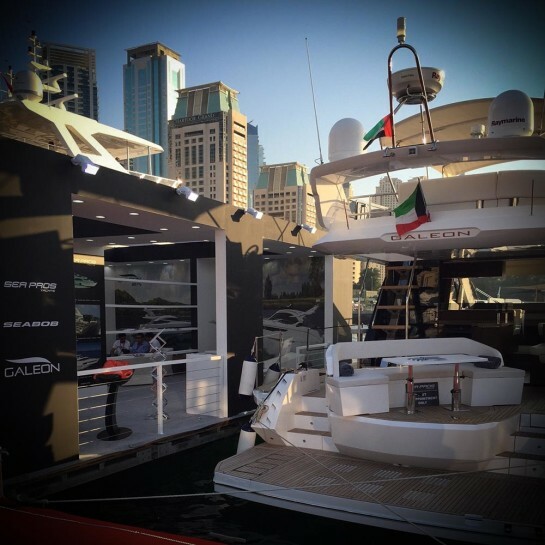 Visit Galeon Yachts at one of these spectacular boat shows! Make sure to visit and see you there! 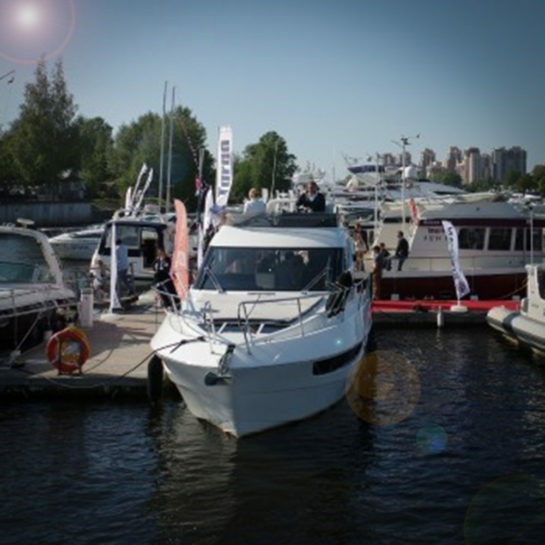 The boat show took place from the 1st till the 3rd of September 2016, in the former capital of the Russian Empire- Saint Petersburg. Galeon and Smartyachts have showcased 4 models: 340 FLY, 380 FLY, 420 FLY and the incredible 500 FLY in a gold hull color. Visit Galeon at the most exciting boat show of the year! We will showcase the 300 FLY, 365 HTS, 380 FLY, 405 HTL, 445 HTS, 460 FLY and 500 FLY. Find us at the Pantiero section – see you there! 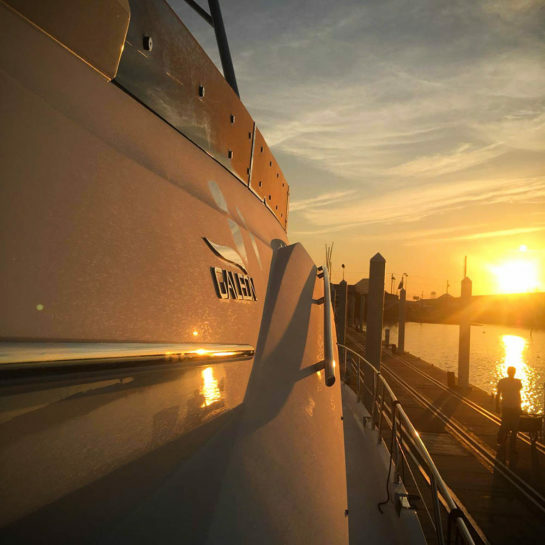 Galeon Yachts have received a warm welcome at the Atlantic shores of the United States of America. The Galeon 660 FLY continues to cruise along the coast to allow more and more people to experience the quality and performance our yachts are renowned for. Join us at the upcoming St. Petersburg Boat show, where Galeon and Smartyachts will exhibit the following models: 340 FLY, 380 FLY, 420 FLY and the exciting 500 FLY with a Gold hull! The Show will take place from the 1st till the 3rd of September 2016 in the Imperator Yach Club. Check out the amazing new advertisement of the award winning Galeon 500 FLY! Join us at the upcoming 2016 Wind and Water Fair in Gdynia! Join us at the upcoming Wind and Water Fair in Gdynia – the biggest yacht exhibition on water in Poland. We will showcase the following models: 300 FLY, 325 HTS, 405 HTL, 420 FLY, 430 SKYDECK, 445 HTS, 500 FLY, 550 FLY and 560 SKYDECK. The show will take place 28-31st of July 2016 – see you there! The 500 FLY proved to be a major milestone for Galeon, with several awards won and sales figures beyond expectations it propelled the company into the upper echelon of luxury yacht manufacturers. For some, this is still not enough! We present the custom built 500 FLY with a high gloss interior and a gold painted hull – a showcase of our capabilities. Enjoy the gallery! The Galeon Owners Club is a great place to meet new people that share the same passion for yachting as a pastime activity. Every new owner is automatically a part of this community and can rely on other members for advice and friendly companionship. This year’s edition took us though the canals of Gdansk to the always entertaining city of Sopot, where we spent the evening relaxing and enjoying the sunny weather. 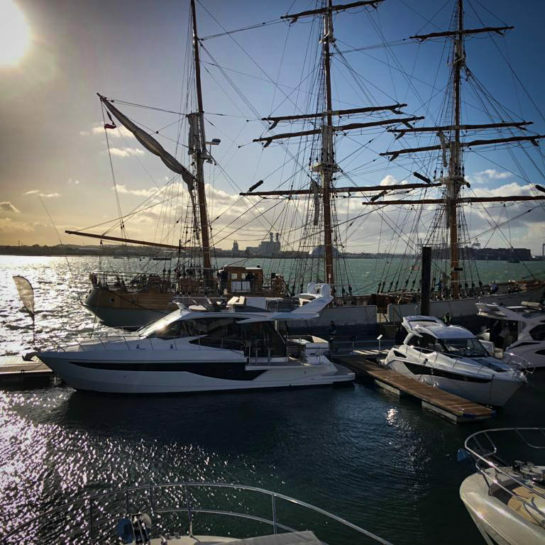 With over 15 yachts and about 100 guests we feel the 2016 GOC was a success and will not soon be forgotten! The Galeon team wishes to thank all the GOC members for participation – see you next year! 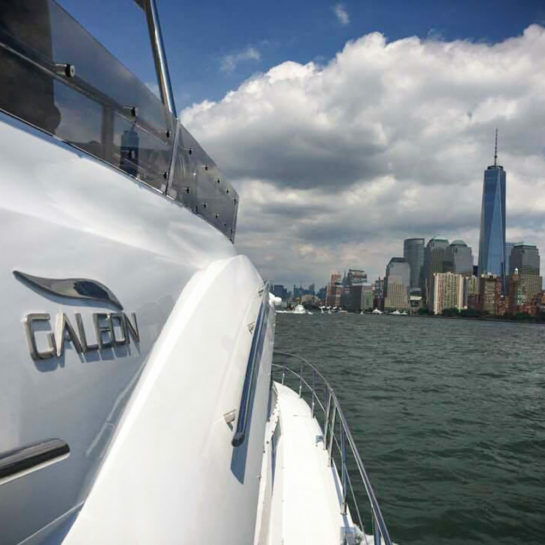 Check out the new and exciting photos of several Galeon models available here! Galeon Yachts are known for their stunning looks and great features, check out the new photos of your favorite models. Download the Galeon iPad App to get all the latest models, technical specs and photos as well as interior materials configurator. To find the App just search “Galeon Yachts” in the App Store on your Apple iPad device. To get all the latest updates remember to periodically close the application and turn it on again. Enjoy! The 2016 Wind and Water fair took place from the 10th till the 13th of March in the capitol city of Poland- Warsaw. 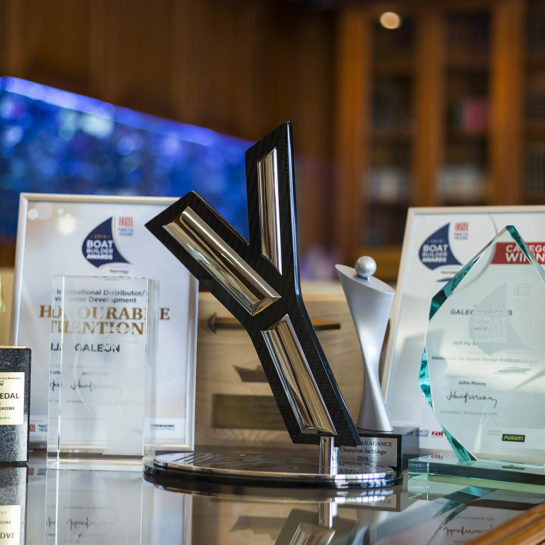 As one of the two biggest exhibitions that take place every year, the event is considered a major one and we are proud to announce we have been awarded three times during the show! The jury declared the Galeon stand as the best in the show, Galeon 365 HTS as the best showcased model and Galeon 500 FLY as the yacht of the Year! We wish to thank for the acknowledgment and hope many more will come in the future- enjoy the gallery! 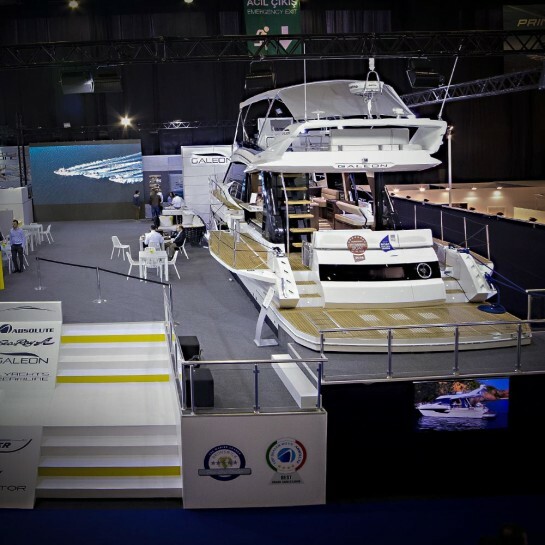 The Dubai International Boat Show took place from the 1st till the 5th of March 2016 in the exciting heart of the city known for some of the tallest skyscrapers in the World. For more information about the show visit the official site – enjoy the gallery! The Miami boat show is considered to be one of the premiere yacht showcases in the World. 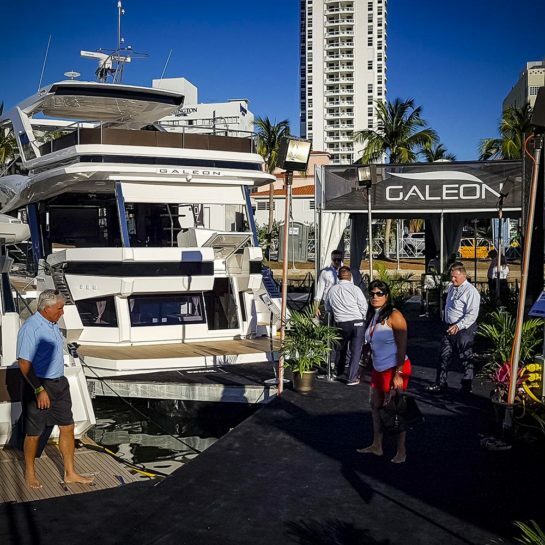 The 2016 edition took place from the 11th till the 15th of February and marked the official debut of Galeon Yachts on the North American market. The venue was a perfect place to announce the cooperation between Galeon and MarineMax company as its official dealer for this market. We are looking forward for the opportunity to showcase our products to the American customers! 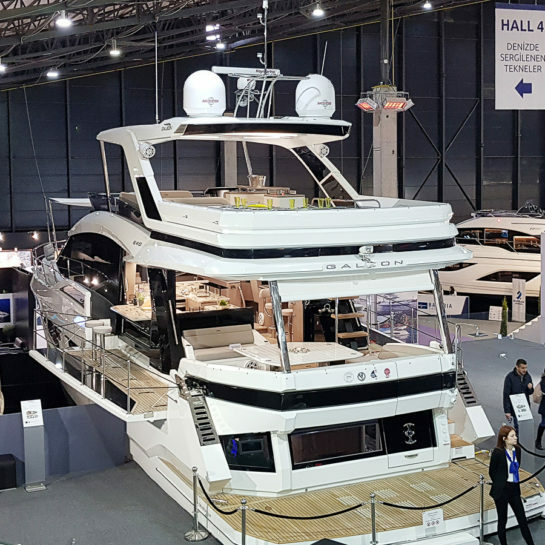 The Eurasia Boat Show took place from the 13th till the 21st of February 2016 in the historic city of Istanbul located on the boarder between Europe and Asia. With over 300 exhibitors from around the World the event is considered to be one of the major ones in the region. The venue proved to be the perfect place to showcase the award-winning Galeon 500 FLY to the Turkish public. We wish to thank our official dealer – Deniz Yatcilik, for organizing an amazing stand and providing great support to all visitors and clients. For more info about the show visit here – enjoy the gallery! 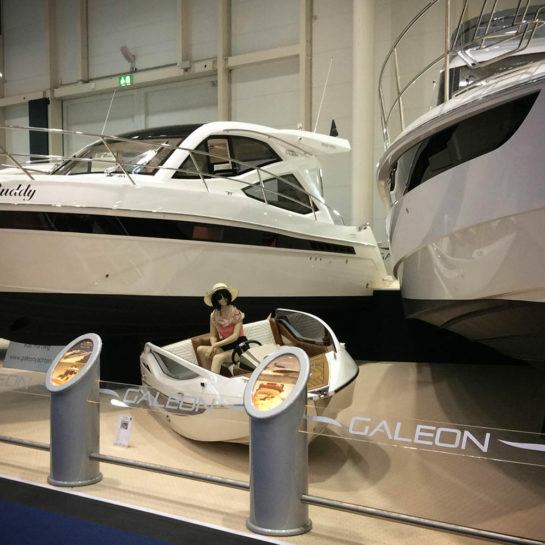 The 2016 Boot Dusseldorf show was a huge success for the Galeon brand. With six models, biggest stand in history and the award for the Powerboat of The Year 2016 it could not have gone better! 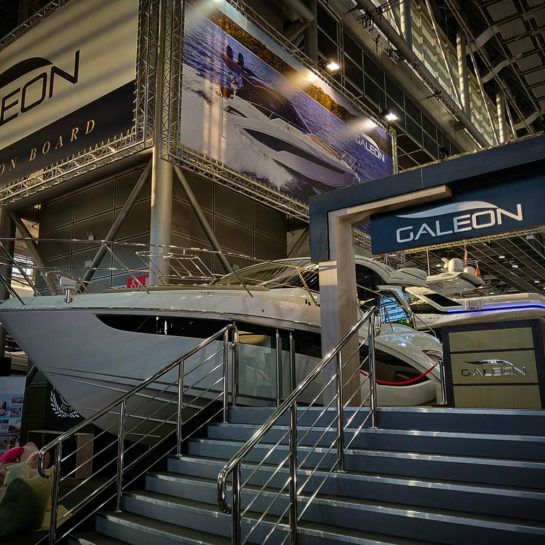 The Galeon stand proved to be hugely popular among the visitors during the 2016 Boot Dusseldorf show. Our lineup of six models included the popular 390 HTC, 420 FLY, 445 HTS and world premieres of the new 365 HTS and 510 SKYDECK. Located in the prestigious Hall 6, among other super yacht builders, Galeon is now widely considered as one of the premiere yacht brands in the world. Visit us at the Istambul International Boat Show to see the new 500 FLY! Galeon and Deniz Yatcilik would like to invite you to participate in the upcoming CNR Eurasia Boat Show that will take place in Istambul from the 13th till the 21st of February 2016. 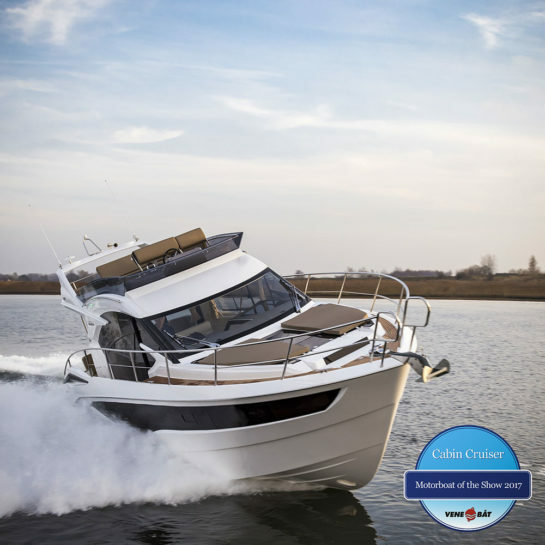 We will showcase the most exciting boat of the season – the Galeon 500 FLY, nominated for several awards for its innovative and ground braking features. We invite You to join us at the upcoming Boot 2016 show! Galeon and HW Bootscenter have the pleasure of inviting You to visit us at the upcoming Boot Dusseldorf boat show, that will take place from the 23rd till the 31st of January 2016. 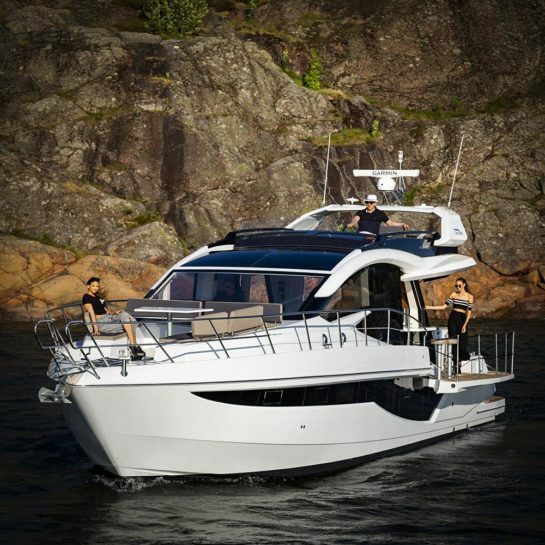 We will showcase the following Galeon models: 365 HTS ( World premiere! ), 390 HTC, 405 HTL, 420 FLY, 445 HTS, 510 Skydeck ( World premiere!) and 550 FLY. 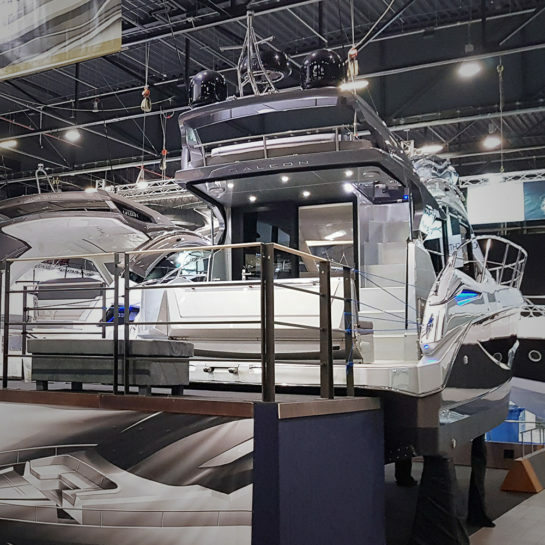 Salon Nautique International de Paris took place from the 5th till the 13th of December 2015 and with over 200,000 visitors proved to be a huge success. 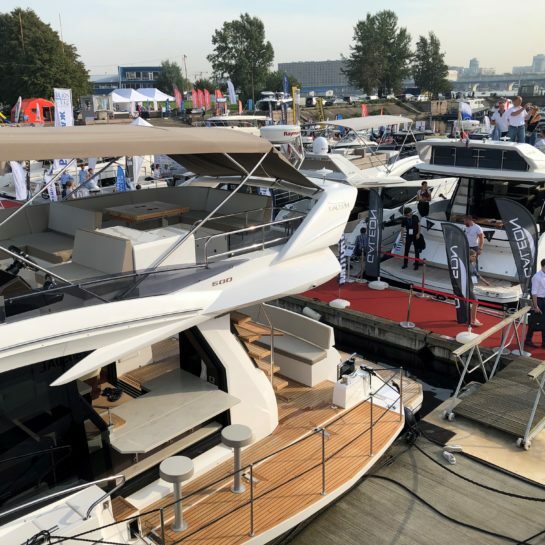 Galeon and French Boat Market showcased three yachts at the fair: Galeon 325 HTS, 380 FLY and 405 HTL which gathered a lot of attention from the visitors. Thank you for visiting us at the Paris Boat show and enjoy the photo gallery! 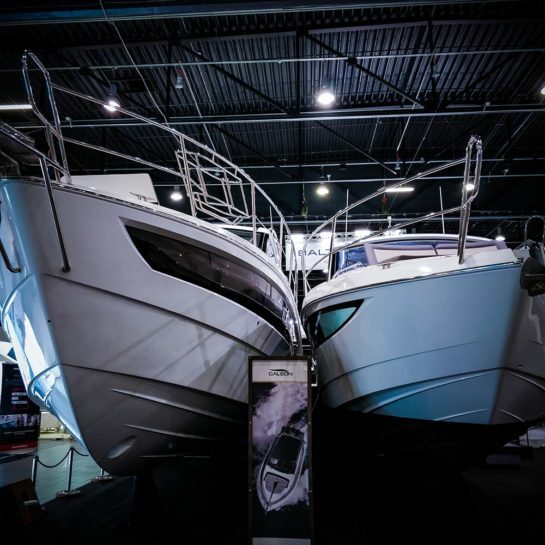 A look back at the 2015 Hamburg boat show, check out the gallery! The 57th Hamburg International Boat Show took place from the 29th till the 6th of November 2015. Galeon and HW Bootscenter ( link here ) showcased three Galeon models: 325 HTS, 350 HTC and 420 FLY. We wish to thank all the visitors and see you at the next show! Boat Builder Award for 500 FLY! Galeon 500 FLY is the winner of the 2015 IBI award in the "Innovative On-Board Design Solution" - read more here! We are proud to announce that Galeon 500 FLY has won the 2015 IBI Boat Builders Award in the “Innovative On-Board Solution” category! The Jury has stated that: “Galeon and the Tony Castro Design team overcame the significant engineering feat of lowering the aft sides of the boat, and sliding a five-foot window into the hull sides, to produce the kind of exterior space and detailing one would expect to find on much larger boats. Galeon has taken a bold, innovative approach to bring a little super yacht flare and functionality to the mid-range motor yacht sector”. We wish to thank all our supporters – this would not have been possible without you! 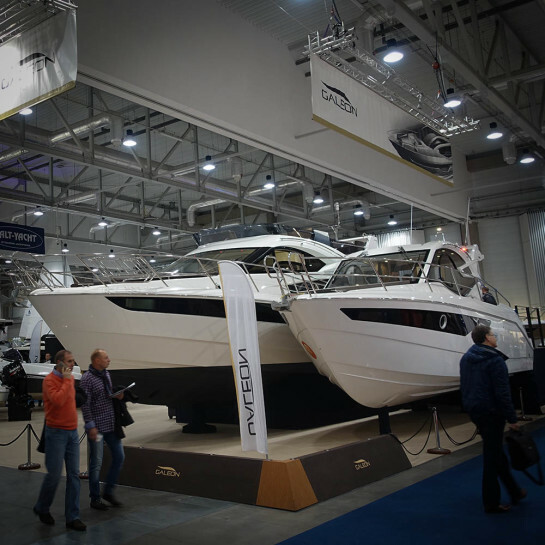 The Lodz Boatshow took place from the 20th till the 22nd of November 2015. 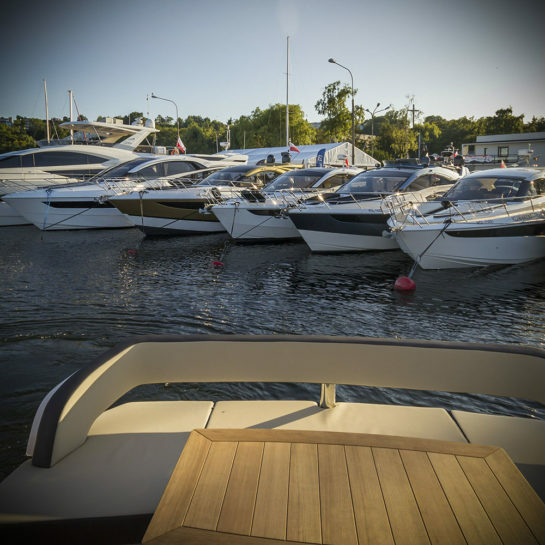 We showcased two Galeon models : 420 FLY and the brand new 310 HTC as well as three Galia motorboats: 770, 630 and 570 Sundecks. Thank you for visiting and enjoy the gallery! Galeon is proud to introduce its newest Dealer for the North American region – MarineMax! 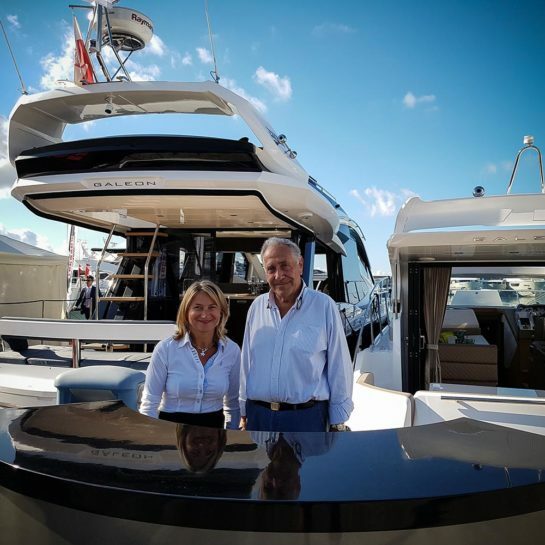 The exclusive partnership between the two companies will set off an expansion of Galeon yachts into one of the largest marine markets in the World. Galeon 500 FLY is nominated for the prestigious Powerboat of the Year 2016 Award - learn more here! Galeon 500 FLY is nominated for the Powerboat of the Year 2016 in the over 45 feet category for its innovative design and features as well as stunning performance. The model was introduced during the 2015 Cannes Boat Show and has gathered a lot of attention as one of the most unique yachts in its segment. Galeon is very proud to be, once again, recognized as one of the premiere boat builders in Europe. Enjoy the gallery! 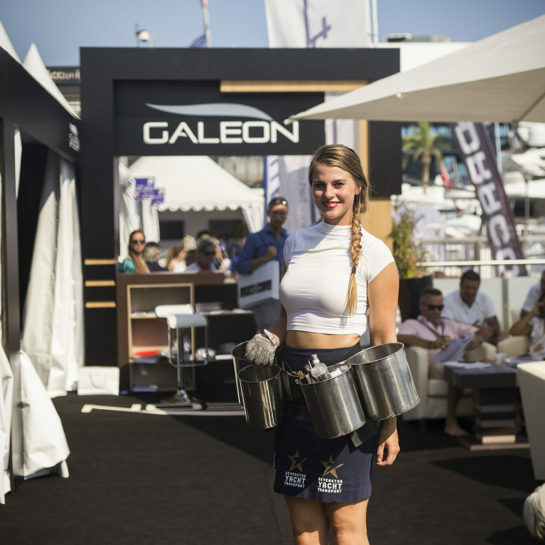 A recap of the 2015 Cannes boat show - have a look at the spectacular Galeon lineup at the famous French riviera. 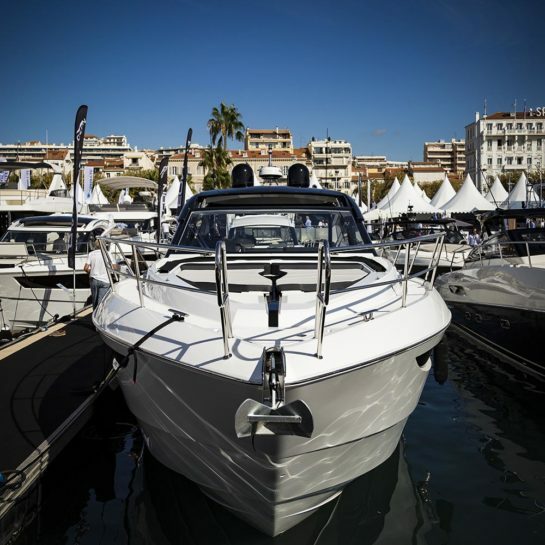 The 2015 Cannes boat show took place from the 8th till the 13th of September and, as always, gathered a lot of attention from yachting enthusiasts from all around the world. 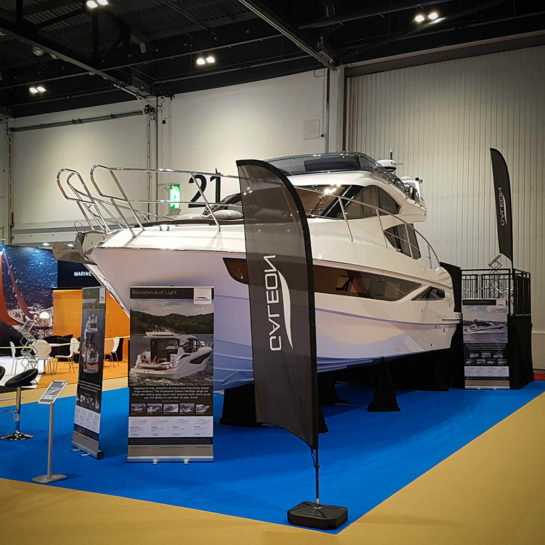 With a spectacular lineup of eight models ( 300 Fly, 305 Hts, 325 Hts, 405 Htl, 445 Hts, 500 Fly, 550 Fly and 660 Fly) the Galeon stand proved to be popular among visitors and the debuting 500 Fly one of the must-see boats of the fair. We wish to thank all our guests for all the support and kind words of encouragement given – we had a great time and hope you did too! See you at the next boat show!